Brian has just finished shooting several ads for high street chain Argos! 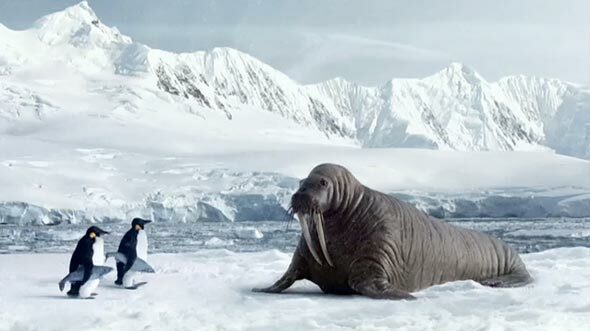 The ads feature a Walrus receiving fish from a couple of penguin delivery men! Brian puppeteered the walrus and penguin faces with Chris Clarke and Kevin Hudson. The animals themselves were created by Cliff Wallace and his team at Creature FX.To view the ad click here and to go behind the scenes click here where Brian appears but is credited as Andy Garner who is in fact one of the highly skilled effects team!